For a few hours Wednesday night I became immersed in the past, the time of wagons, frontiers, homesteads and new settlements. 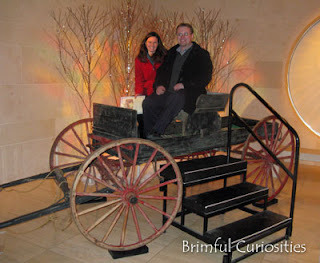 My husband and I attended an evening performance of Little House on the Prairie: The Musical at the Overture Center in Madison, Wisconsin, part of a national tour. Before the show, I sat in a buckboard wagon and imagined riding along a rutted dirt path, seeing the grains of the prairie wave back and forth in the wind. Watching the talented cast, I felt a special bond with Laura Ingalls Wilder, author of the classic Little House on the Prairie book series. 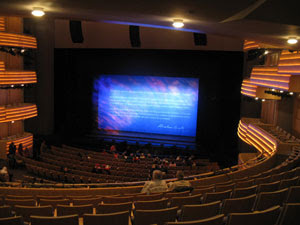 The musical takes place in the Dakota Territory in the 1880's and covers Laura's late childhood spent near De Smet, S.D. up to her marriage to Almanzo Wilder, basically the stories found in the following books: By the Shores of Silver Lake, The Long Winter, Little Town on the Prairie and These Happy Golden Years. Just like the books, the musical highlights both the highs and lows of life on the prairie. Though I wish Melissa Gilbert had been able to perform as "Ma" (she apparently was suffering from laryngitis), I still enjoyed all the musical numbers, especially the deeply moving "I'll Be Your Eyes" sung by Laura and Mary that left me in tears. In fact, all the performers sang beautifully and special kudos to all the understudies who played in leading roles: Meredith Inglesby played Ma, Megan Campanile played Laura, and Gayle Samuels played Ms. Brewster/Ms. Wilder. It was a special treat to watch Melissa Gilbert's son, Michael, play two parts--Willie Oleson and a school child from Brewster. Kevin Massey performed as a dashing Almanzo and Nellie (Kate Loprest) was hilarious in her showy wardrobe. The lively, energetic dancing during the curtain called deserved a standing ovation. Too bad more didn't show up to watch the production. I'm still trying to figure out why the show doesn't get better reviews. In my opinion, anyone who is a fan of the books will most likely love this musical version. I know I did. We didn't take my daughter, but I'm sure she would have enjoyed watching the performance, particularly Act I. Grandma may take her when the show stops in Appleton, WI. We saw several little girls dressed in adorable bonnets and pioneer dresses having the time of their lives. As a lifelong Wisconsin resident, I have always loved the books, especially Little House in the Big Woods. Laura Ingalls Wilder was born near Pepin, Wisconsin and lived there in a log cabin until her family moved on to Kansas and then later the Dakota Territory. I can clearly recall my fourth grade teacher reading aloud the Little House books to my class. Around that same time, my mom sewed a peach colored bonnet for me, and I watched Melissa Gilbert star as Laura Ingalls in the TV series. My family owned a box set of the Garth Williams illustrated books, the Readers Digest powder blue paperback version. I read each and every book in the series as a child. 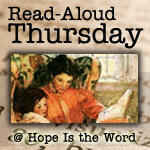 This past week, we've been reading Little House on the Prairie books. We started with a couple of My First Little House Books. This 14 book series is beautifully illustrated (many of them by Wisconsin artist Renée Graef) and adapted from Wilder's original books. The books stay true to the stories and are the perfect introduction to the Little House series for the younger crowd, ages 3-8. 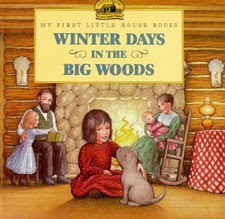 Our current favorite in the series is Winter Days in the Big Woods (My First Little House Books) . The book begins with the sentence, "Once upon a time, a little girl named Laura lived in the Big Woods of Wisconsin in a little house made of logs." With Winter approaching, the Ingalls family members begin their preparations for winter. They gather produce from the garden and Pa goes hunting. Once winter arrives the girls keep busy by helping their mother with chores, playing with their paper dolls. The picture book draws directly from stories in Wilder's book, Little House in the Big Woods. Browse inside the book at the HarperCollins website to view the wonderful illustrations. 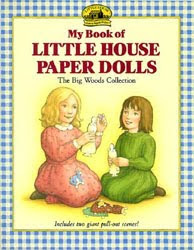 I purchased a copy of My Book of Little House Paper Dolls: The Big Woods Collection while at the musical. The set includes six paper dolls--Laura, Mary, Ma, Pa, Baby Carrie, and Jack the bulldog plus accessories. My daughter loves dressing her dolls and playing with them using the provided background. They are perfect for imaginative play and actually pretty inexpensive, considering all the detail and number of cutouts. Definitely a worthwhile investment for any child interested in the Little House on the Prairie books. Renée Graef illustrated the paper doll book, so the characters perfectly match those found in the My First Little House Books series. Since my daughter enjoyed the picture book series, I decided to try reading aloud the original chapter book, Little House in the Big Woods . Thankfully, my mom kept the set from my childhood, so we borrowed all the books from her. Like many, I prefer the editions illustrated by Garth Williams. This chapter book does contain some slightly graphic accounts, including butchering, scary wild animals, whipping of children, a yellow jacket attack and more. 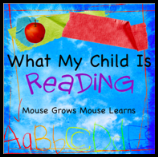 As I read the story aloud, I omitted some parts of the story that I thought would bother my preschool-aged daughter. The book set in the early 1870's covers all four seasons, stretching an entire year from late autumn to late summer the next year in the big woods of Wisconsin. Wilder discusses typical family chores like hunting, baking, sewing, washing, nut gathering and making butter and cheese. She tells of a family gathering at Christmas when she receives Charlotte, a rag doll. They spend time at Grandpa's house in the big woods dancing and helping collect maple sap that they later make into syrup and maple sugar. Wilder's provides detailed descriptions and intersperses fun tales told by her "pa" throughout the book. My daughter closely looked at all the black and white illustrations by Williams while I read the text and she periodically stopped me to ask questions. I like that the book introduces her to pioneer times, before cars, running water, and huge mega stores. All the history, humor and hardship that Wilder seamlessly integrates into her books continues to amaze and enlighten me, even as an adult. Our story + art activity this week was more cooking than crafting. We made pancake men like Laura describes in Little House in the Big Woods. 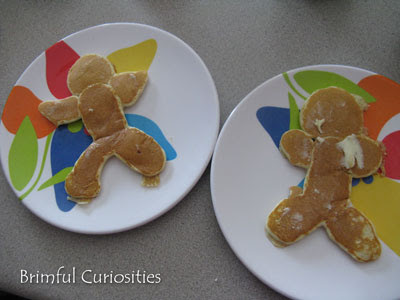 "For Breakfast there were pancakes, and Ma made a pancake man for each one of the children. Ma called each one in turn to bring her plate, and each could stand by the stove and watch, while with the spoonful of batter Ma put on the arms and the legs and the head." And, of course, we ate them with real maple syrup! Oh my goodness! This is just an amazing post! My children are HUGE, HUGE fans of LIW! They've already listened to most of the full-length stories on audiobook, and I've read aloud LHOTP and part of Big Woods and we're currently reading Farmer Boy. They would LOVE to see the musical, as I would. My dh and I took a trip before we had children and drove from our home in Alabama all the way to Yellowstone NP. We drove up through DeSmet,SD, and got to visit the homestead there that is constructed to model the homestead they had (I believe) in Shores of Silver Lake and LTOTP. Thank you for linking up and sharing this awesome post! What a great post! I REALLY want to see this musical. I need to look it up ... I live in northeast Wisconsin! I love Little House! I read the entire series 11 or more times as a child to the point where they are falling apart. I have been anxiously awaiting my sons to get older so I can introduce them to the series. I think I'll look for the books you discussed to get them started! I am so happy for you but a little jealous on this end! I have been such a huge fan of Little House on The Prarie since I was a little girl, have all the books and even some that are rare and hard to find. I had heard about this musical and wished so many times I could get to see it. I love these books! It's sad that I spent most of my adolescence in South Dakota and am only three hours away from DeSmet, and I've never been there! It's on my list of places to go before I die. I had not heard (or else I've forgotten) that this was even in the works. I would SO buy those paper dolls too. I loved (um...love--present tense?) paper dolls. Those are lovely. It seems like every year fewer and fewer of my students read these books. A show like this would be a nice way to introduce them. Although, I wonder. Mary Poppins was was here as part of the Broadway theater series. I wonder how many kids were inspired to read those books as a result? We love the Little House series. I'd thought about making the pancake men with my daughters but we haven't tried it. Yours look so cute. I love the chapter about Christmas in the Big Woods. Yeah for Little House. I'm glad you liked it though the lack of Melissa Gilbert was sad. I was thinking of going to see it, I just loved this books when I was little. That is something I'd love to go see if it was in my area. Little House is a classic. It is sad that more people didn't show for the production you attended. I hope it's not that way for everywhere it goes. That sounds like such a fun musical! I loved the books as a child and when I taught grade school, I'd make sure to read one as a read aloud each year as well. 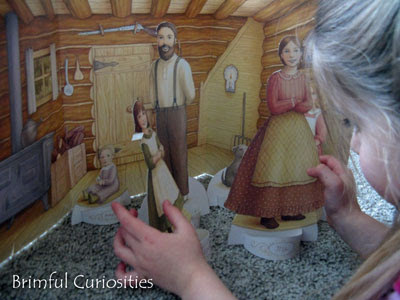 I loved this "multimedia" approach to Little House in your post! I recently did a whole week where I ate nothing but foods mentioned in the Little House books and will be writing about it soon. I hope you and your daughter continue enjoying these books together as she gets older. Lovely that you get to do it through your own dearly loved copies. I still have all my Little House books as well! 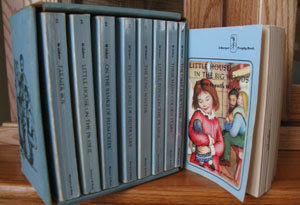 I had no idea that the My First Little House books were out there. I will be picking these up for my 5 year old right away. I have all seasons of the show as well. I love Little House, and I appreciate you sharing this post!